Chima’s Ferguson’s part in Real Surveillance #6 is full of pure heart, gnar and stoke. Have a look at this rough cut edit to witness his dedicated sickness behind this effort. 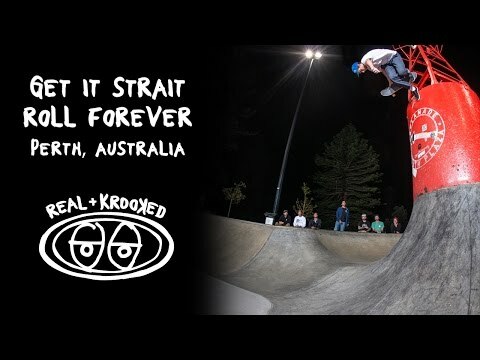 Watch Ishod, Chima, Bobby, Sebo, Robbie & Ronnie put it down at Fremantle Plaza in Perth, Australia. Stay Tuned on February 6th for the full “Get It Strait, Roll Forever Video”.